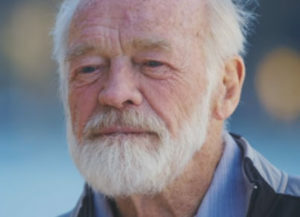 Eugene Peterson, author of The Message paraphrase of the Bible, died on October 22, 2018, aged 85. He was a scholar, a teacher, a writer, and the pastor and founder of Christ Our King Presbyterian Church in Bel Air, Maryland, just a couple of miles from where I spent my childhood. I never knew him, but my faith has been shaped in very important ways by his books, his ministry, and his long obedience to Christ, his King. Peterson’s life ended quietly, by all accounts, in a hospice bed surrounded by his wife and family. His life had a great impact on millions of people, including myself; his death was just another regrettable proof of our human mortality, a truth that we try very hard not to think much about. Oddly, the Christianity that Eugene Peterson lived and preached, the Christianity that I have struggled to follow, was built on the life of a man who believed his crowning achievement would be his death. We tend to remember and respect religious leaders for the lives they have lived and the things they have tried to teach their followers. Islam is built on the life and teachings of Muhammed, Buddhism around the teachings of Buddha. Judaism is the revelation of God through the lives of people like Abraham, Moses, Elijah, and the prophets. The deaths of these religious figures is something of a footnote to their lives, their writings, their teachings. Their deaths are an interruption to their work. Not so with Jesus. Jesus is certainly famous for his words. The Golden Rule. Turn the other cheek. The Lord’s Prayer. Take up your cross and follow. “Judge not.” “Let the little children come to me.” “Let him who is sinless throw the first stone.” So much of what Jesus said and taught is remembered because it was, and is, radical – out of step with the times he lived in. And if taken seriously, his teachings threaten to undermine many of the things we hold dear today. They don’t accord well with our rights-based, ego-centered modern world. Then, we have, embarrassingly enough, those miracles. We know such things are impossible, yet we wish they could be true. We are no different from Jesus’ first-century audience in that we, too, experience the capricious unfairness of illness and the awful realization that, with all of our technology, we are too frequently left praying and hoping for miracles. And there it is. His death wasn’t to be any ordinary death. His death, more than anything he ever said or did, would become the focus of the controversy surrounding this Jesus, this Christ, this man who claimed to be the Son of God. Why? Because on the third day in the grave, God restored his life. And on that claim of a miracle, on the testimony of the witnesses that found Jesus’ tomb empty, and others who later claimed to talk to him on the road to Emmaus, Jesus Christ shattered the religious leader mold forever. Eugene Peterson, a very good man, a very famous man, a man who lived with integrity and grace, has died. We celebrate his life and mourn his death. We who knew him by his books wish he could still be with us; his family, who knew him by his love, wishes it all the more. But Christians, perhaps alone among the world’s religious people, actually celebrate the death and alleged resurrection of Jesus. By the blood he bled on the cross, we have been made holy. Through his resurrection we have been given the promise that death is not a footnote at the end of a manuscript, but the introduction to a brand new chapter.